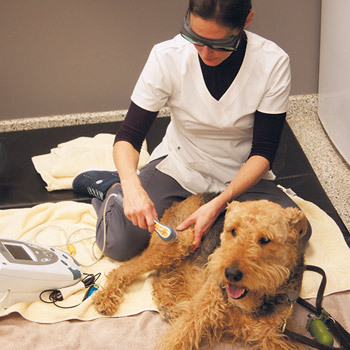 Our department is headed by our certified animal rehabilitation veterinarian. 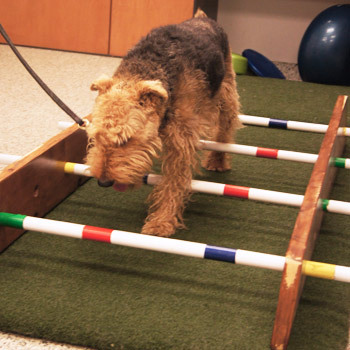 Exercises done on an underwater treadmill allows the animal to stand while reducing the weight on his articulations. The result is that he can do more repetitions of each movement, with less discomfort and pain. Using the treadmill also helps increase his range of motion. 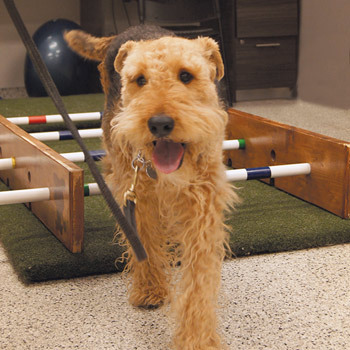 The water's resistance increases the animal's reaction time while he walks, which gives him a sense of security and encourages him to exercise. 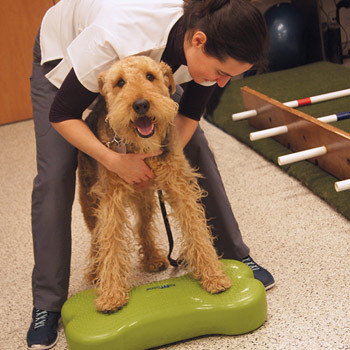 It also includes all the benefits of hydrotherapy. 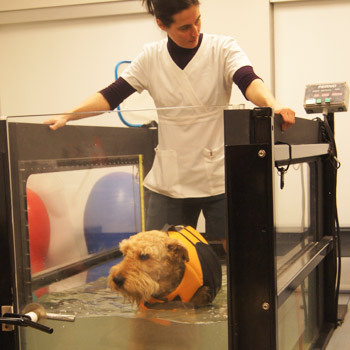 The aquatic treadmill is also very beneficial for patients who must lose weight. Physical activity is less painful and easier in the water. Weight control is key in any rehabilitation program.